Seasickness, or motion sickness as some people refer to it as, is a common problem that can happen to anyone traveling in a car, on a plane and most often on a boat. It happens when the body senses movement, but the eyes see stillness—the brain then receives conflicting messages resulting in dizziness. 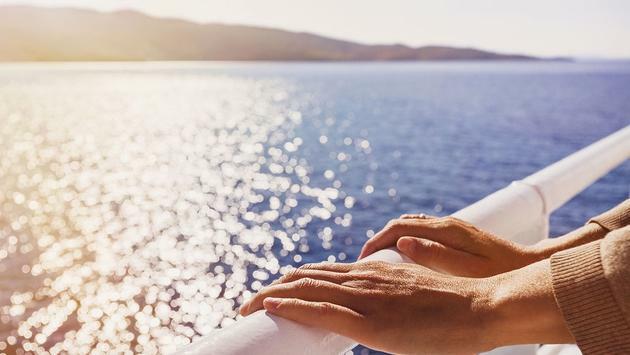 This is never a pleasant thing to experience during a vacation, which is why Windstar Cruises has all the tips and tricks to help handle seasickness when it occurs. Some basic symptoms of seasickness include yawning, drowsiness or loss of appetite. Some of the more serious effects include cold sweats, headaches, nausea and even vomiting. There are several things to do when a bout of seasickness comes on to help it subside. For example, if you’re reading a menu on a cruise ship, try going outside and looking at the horizon to try to find balance. Also, getting fresh air in general or practicing deep breathing exercises can sometimes help. Other things to try are sipping cold water, inhaling essential oils or eating peppermint, ginger or a saltine cracker. Travelers can take steps before and during their cruise to try to prevent seasickness altogether. Getting enough sleep and staying hydrated are two essential and easy to do things. Avoiding an empty stomach and drinking too much alcohol are other good ones to keep in mind. Also, try to sail calm waters and choose a cabin in the middle of the ship with a window to look out of. Keeping these things in mind will help things stay smooth sailing! Visit Windstar Cruises’ blog to learn more.